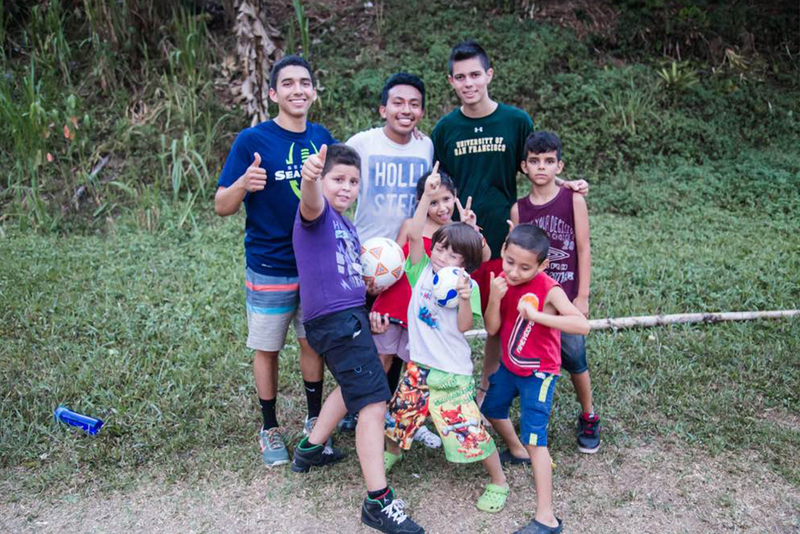 As you might have guessed, the UCI Costa Rica program is one of those opportunities. I heard about this program from one of my roommates and believe it or not, all of the friendships I have developed with my roommates are rooted in our collective love for soccer. If it wasn’t for the sport I love, I don’t believe I would have had the opportunity to be writing this blog. Forever grateful for the chance to be a part of this program, it has been a goal of mine to contribute back through soccer. Soon after the program got started, I came up with the simple idea of collecting soccer gear from friends and family in order to donate them to the young kids of the rural Costa Rican township of Mastatal. I enthusiastically shared this idea with my roommate, and fellow Costa Rica Program member, Erick Francisco Miguel, knowing that he would be a great source of support. To my delight, Erick excitedly vowed to aid my donation efforts and with the approval and subsequent encouragement of Jennifer, our program director, Erick and I got to work! Just some of the equipment collected for donation. Once we had all of that gear gathered and neatly placed into our duffel bags, the countdown to the day we would get to share it all with the kids began. As fate would have it, we wouldn’t all get the chance to meet up and play soccer with the locals until Day 8 of our 9 day experience. Since most of Day 9 was spent travelling back home, our Saturday afternoon soccer session was in many ways our final interaction with the Mastatal community. The soccer game started off with only a handful of Costa Rica Program members and locals so Erick and I decided to only take out the soccer balls we had for the time being and then disperse the rest of the soccer gear later when more of the locals arrived. 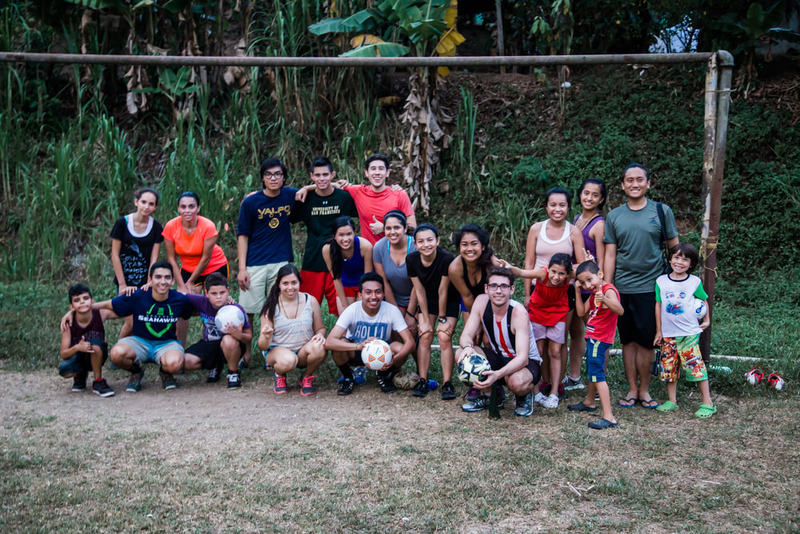 We proceeded to pump up the soccer balls with the help of some of our young Tico friends and then right away we got to playing. Quickly the field filled with about 40 people – we even had spectators! Girls and boys of all ages joined in on the fun. It was simply beautiful to see the youth of the community as well as the Costa Rica members all in one place, enjoying the moment. At one point during the game I stopped running and just took it all in. 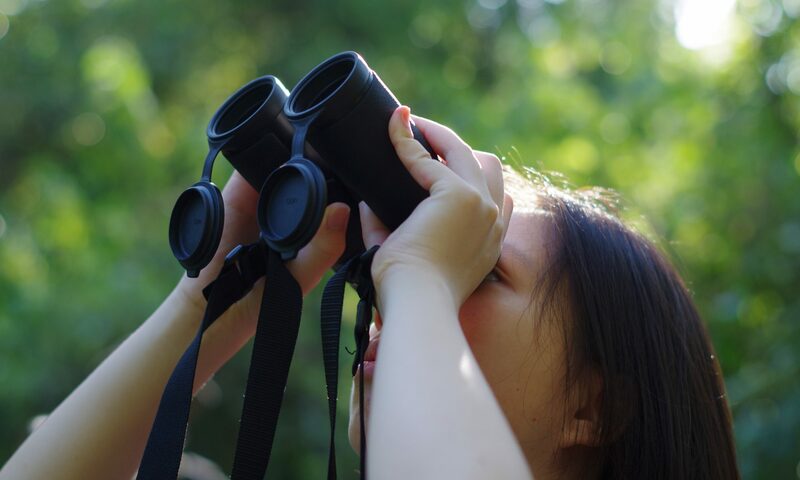 People were laughing and feet were crunching on the dry grass of the field, all the while birds from the rainforest chirped and the insects of the night began to emerge with their persistent hums. All too soon the game came to an end with a local youngster scoring one final goal. 16 year old soccer player, Ian, prepares to receive a pass and then goes on to show us his sweet moves. After the game, since most of the locals were in the vicinity, Erick and I decided it was the perfect time to give out the soccer gear. Young boys and girls swarmed us eagerly and their jaws dropped at the sight of the stuff we had for them. Pablo, a 12 year old boy who I befriended during the game, quickly threw on a pair of my old cleats, and although they were a bit large for him, they were perfect in his eyes and I assured him that one day they would fit. This process occurred multiple times with kids of different ages until all we had left were larger sized items, all of which we gladly handed over to 16 year old soccer player, Ian, so he could share with his teammates who were unable to join us that afternoon. Every single child embraced us and thanked us for giving them what turned out to be the first ball, jersey, or pair of cleats they ever owned. I couldn’t help but picture my 6 year old self wearing my beloved purple soccer shirt and in that moment I truly understood a particular quote that I had been recently thinking about: “Happiness is only real when shared”. Now, after 14 years of playing and loving soccer, I have a new understanding of how the game is able to spread joy between nations, cultures, and age groups. I am finally beginning to truly understand why soccer is called “the beautiful game”. Me and Erick with some of the kids who loved their new soccer balls! Next PostNext So You Wanna Be Fluent?